I started out doing daily updates of my Body Gospel workouts. Well, that got to be a little difficult during the holiday season, and if you've been following you've noticed that I haven't done an update since the 15th day just before the Christmas holidays. Not to worry though, I didn't quit. I did keep up with my workouts. I may have skipped 3 workouts during the 30 day workout period and on a couple of days, I threw in an extra ab workout for good measure. Overall my experience with Body Gospel was a positive and enlightening one. The daily inspirations and motivational scriptures were a blessing to me, as a Christian. The workouts were what I would consider moderately challenging. For people who are used to high intensity training or workouts, this program may not be challenging enough. After completing a program like P90X, for me, Body Gospel was more like a heavenly reprieve from the intense strength training to which I had become accustomed. But, regardless of the fact that the program was less intense, I did get results and that's the most important thing. As you can see, I lost inches in my chest, waist, and thighs. Total inches lost -3.5. Total weight loss- 5lbs. Five pounds may not sound like a lot, but I'm happy with it and the inches lost (especially in my waist and hips). The Gospel Theme: My favorite aspects of the program were the overal spiritual theme. I liked being able to incorporate my spirituality into my workouts and learning more about how my physical health pleases God and is His will for our lives. Workout Music: I loved the music choices from some of my favorite artists like Israel and New Breed. Minimal Equipment Needs: I also liked that there wasn't a whole lot of equipment required. 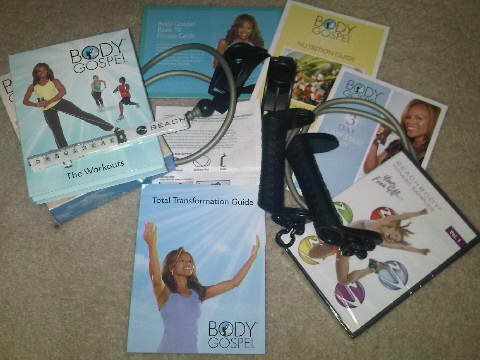 Basically, the Body Gospel Bands were the only equipment that I needed. In contrast to a program like P90X that requires a little more. Workout Durations: The workouts weren't very long. That was a nice change. I think the longest workout was like 45 minutes long and the shortest around 18 minutes. This made it easy to squeeze in a workout during the day. The Price: This program wasn't very expensive for what is included. 8 workout routines, body gospel bands, nutrition guide/recipes, inspirational guide, etc. all for $60 (preferred coach price) $80 retail. You know guys, no matter how hard I try I just cannot get into "choreographed" dance moves during my workouts. There seems to be something about those types of workout that frustrate me. Well, maybe frustrate is the wrong word, I'm not sure what it is to be honest. I just have come to realize that these types of workouts are my least favorite. Which is weird because I like dancing (smile). Who knows? I do, however, have my eye on some similar style workout routines, so we'll see what happens. The darn bands came undone several times during my workouts. Now, it could be that I did not secure them properly. During the last couple of weeks I created a double loop of sorts to secure the bands in the ring holders. That seemed to work. Still the times that the bands slipped loose annoyed me. Would I Recommend Body Gospel? If you are an experienced fitness expert and need an intense workout program that pushes you, no. If you don't like gospel music and you're not into spirituality, no. If the thought of using workout bands makes you frown, no. Body Gospel is not for you. I would recommend you try something like Slim in Six or P90X . I've done them both and they work very well. It really all depends on what your goals are and what type of workouts you enjoy. If you are a beginner and enjoy Gospel music during your workout, yes. If you've been wanting to take time out to grow closer to God and meditate on scripture, yes. If you like choreographed workouts and dancing during exercise, yes. If you're looking to lose pounds and inches, yes. 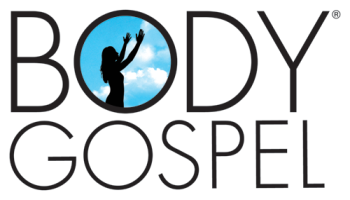 I recommend you give Body Gospel a try. Worse case scenario, you'll lose a few inches like I did, but decide Body Gospel isn't really for you. In which case, you can send it back because it comes with a 30-day money back guarnatee. Remember to send me your questions and post your comments! Be blessed.